The 18th Century Oak Housekeepers Cupboard is a grand statement piece and would look fantastic in a variety of interiors. This charming antique cupboard has all of its original handles, includes dental cornice and raised panel doors. Please get in touch if you wish to discuss any of our antiques or would like further information. 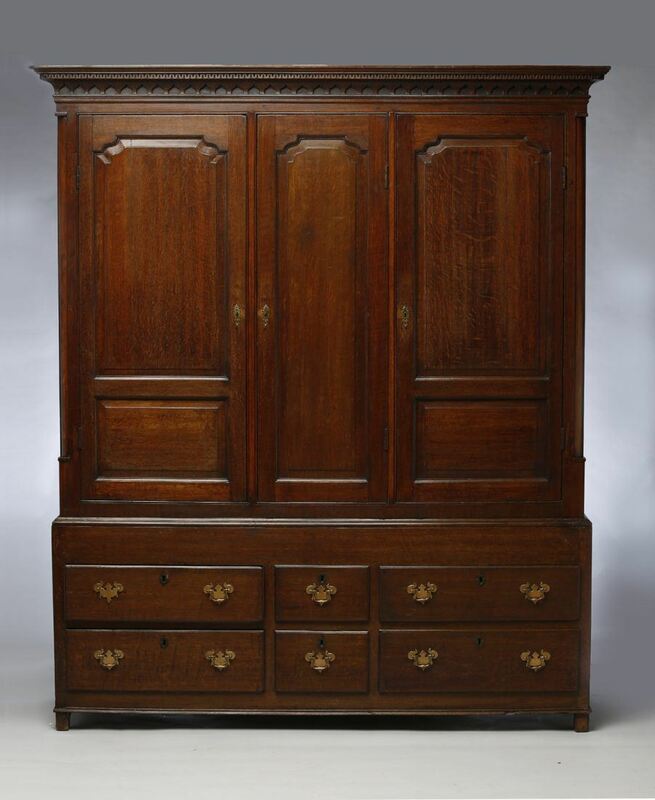 To ask a question about the 18th Century Oak Housekeepers Cupboard click here. We'll email you the answer as soon as possible. If you have a question about the 18th Century Oak Housekeepers Cupboard, fill in the form below and we'll email you the answer as soon as possible.